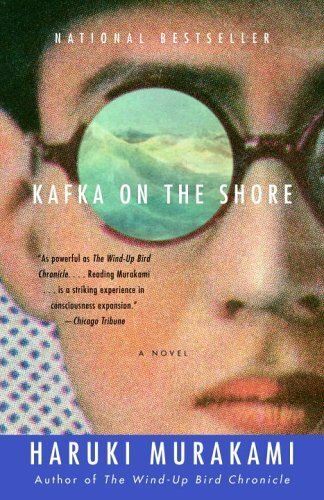 Next in the 100 Books challenge is a far more recent read — Haruki Murakami’s Kafka on the Shore. For the past few years, I’ve been slowly working my way through the mythic fiction reading list from the very-much missed Journal of Mythic Arts. I say “slowly” because, summer break excluded, my reading time since becoming a teacher is pretty much limited to ten minutes or so snatched before bed a few nights a week. If it weren’t for Audible, I would probably be one of those Americans who only reads a book a year. Well, probably not one of those Americans. But maybe only ten books . . . Anyway, I’m always happy to find books from the reading list on Audible, so last spring, I downloaded Kafka on the Shore. It completely transfixed me. I actually found myself inventing errands that involved driving just to keep on listening to it. Part of that is the performance — Oliver La Sueur and Sean Barett do a phenomenal job of bringing Murakami’s characters to life. But the performance alone doesn’t explain why I eagerly picked up my own paperback copy of Kafka on the Shore while at Powells a few months later, along with another of Murakami’s books, The Wind-Up Bird Chronicle. 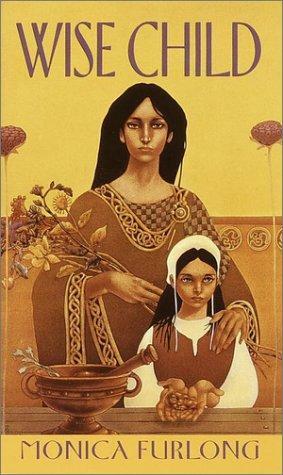 Last week, I started off the one hundred book challenge with Monica Furlong’s Wise Child, a novel I loved as a child. 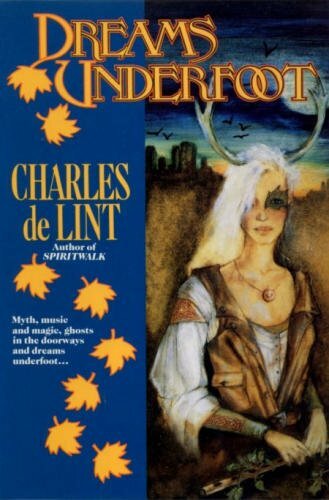 This week, I’m highlighting a favorite from my teenage years — the wonderful collection of short stories that provided my introduction to Charles de Lint’s writing. This first in my series of books that have shaped my life is a children’s novel I first encountered in the fourth grade. Twenty years later, it is still one of my favorites. Monica Furlong’s Wise Child tells the story of a little girl growing up in a remote Scottish village. Nicknamed “Wise Child” for her big eyes and penchant for using big words, the protagonist is sent to live with the village witch, Juniper, when her grandmother dies. At Juniper’s house, Wise Child learns a bit about magic and a lot about love. Although I initially loved the book for Wise Child’s initiation into Juniper’s magical world, one idea from Wise Child has remained with me as I’ve grown older — mindful domesticity. I challenged Drew to the 100 Things challenge, and of course, he had to speed ahead and beat me to the first post while I was doing yoga! I guess I’ll have to try to be the slow and steady spouse in this challenge. Anyway, I’m going to be doing a series of posts on 100 books that shaped my life. My plan is to post one book every Monday. Entry one will be up in a few minutes, but I wanted to test out my new WordPress client with this smaller entry first. Anyone care to join in the challenge with us?